Nineteen Clemson ROTC officers served together in World War II as members of the “Red Arrows.” The first infantry unit to go on the offensive against the Japanese, they fought until the very end, the morning the peace treaty was signed. In early 1942, only weeks after the Japanese attack on Pearl Harbor, 13 freight trains and 25 passenger trains left Fort Devens, Massachusetts, carrying some 10,000 soldiers with the Army National Guard’s 32nd Infantry Division, the “Red Arrows,” bound for Australia and the Pacific Theater. It was the first American division to deploy as an entire unit from the United States to the front lines — a first of what would be many firsts for the Red Arrows. Lt. Clinton Blackmon ’41 (second from left) with other officers of Red Arrows Division in Australia, 1942 (courtesy of Clinton R. Blackmon family collection). Aboard those trains were 32 officers who had been commissioned by the four South Carolina peacetime Reserve Officer Training Corps programs at The Citadel, Wofford College, Presbyterian College and Clemson College. Nineteen of them were Clemson alumni from the classes of 1934-1941, with nine from the class of ’39 alone. The South Carolinians had been thrown into the 32nd — normally a Michigan and Wisconsin National Guard unit — as the U.S. military hastily gathered itself to strike into the heart of its new enemies. Such a large group of officers from one school in the same unit was unusual, but many of the 19 officers from Clemson would go on to distinguish themselves as leaders and help carry the Red Arrows through the next four years of combat — beginning with one of the most devastating battles of World War II. From Australia, the division, under the command of Gen. Douglas MacArthur, moved into the rain-soaked jungles of Papua New Guinea, where it charged into the Battle of Buna on Nov. 16, 1942, making it the first infantry unit to go on the offensive against the Japanese. The battle was a brutal nine-week trial by fire. Amid the haste to take the fight to the enemy, the logistics of transporting food and other supplies to the front lines were being worked out even as the bullets were flying. The fighting itself was a test of wills over unforgiving, waterlogged jungle terrain in oppressively humid weather with temperatures that could reach 122 degrees. The combination of dreadful climate, poor diet and stress created the perfect storm for disease, and soon malaria was taking men out of the battle five times faster than the enemy. Eighty-five percent of all Allied soldiers contracted the disease, which necessitated keeping the sick in the fight unless they were completely incapacitated. 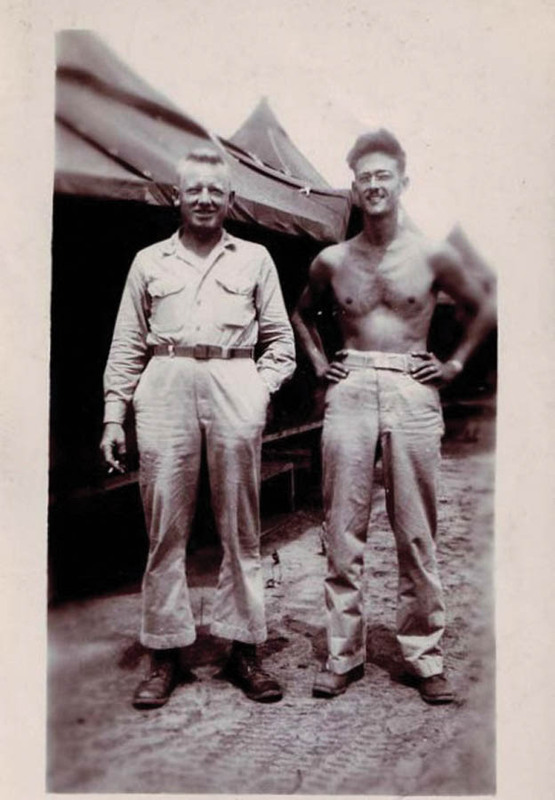 U.S. Army Lieutenants Timothy Barrineau ’39 and Frank Cheatham ’40 in Port Moresby, New Guinea, Dec. 1942 (photo courtesy of Simon Cheatham). “Despite catastrophic losses of more than 90 percent, they managed to secure the Army’s first land victory over the Japanese — slightly sooner than the contemporary action on Guadalcanal wrapped up,” said Joe H. Camp Jr., author of 32 Answered: A South Carolina Veteran’s Story, a book about the South Carolina soldiers who found themselves in the Red Arrows. The Battle of Buna either broke men or hardened them to war. The ones who made it through were toughened for the fight and carried their experiences into subsequent campaigns. Several of the lieutenants from Clemson not only survived Buna, but were forged into exemplary leaders there. 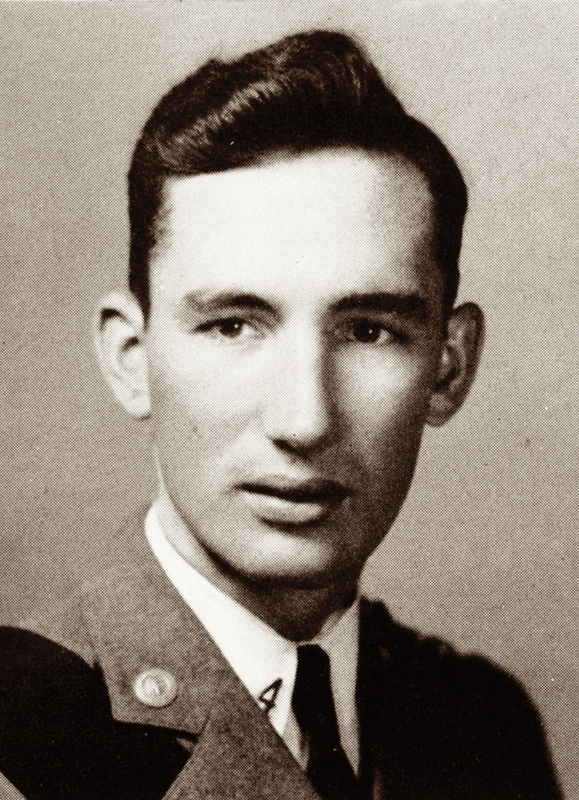 “Two Clemson ’41s — Lt. J. Ernest Cottingham and Lt. Ben G. McKnight [who earned a posthumous Silver Star] — were killed in that first combat at Buna. 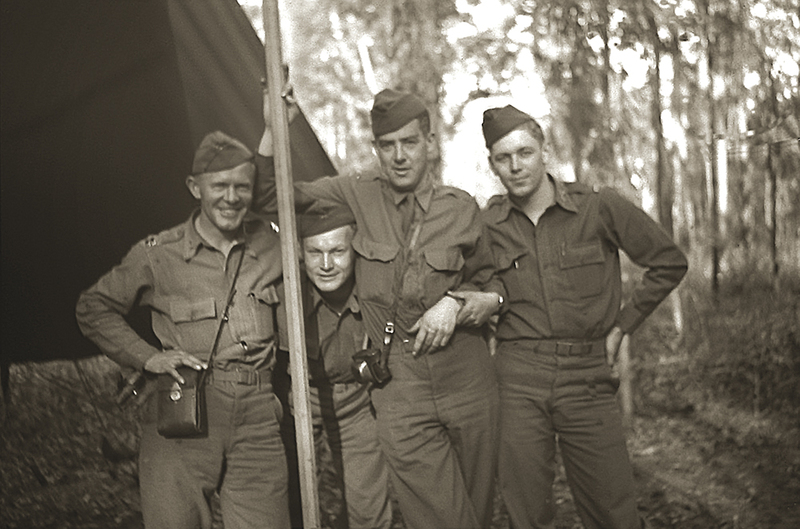 The Clemson men who managed to survive that first campaign — those not killed or permanently precluded from further combat duty by malaria — stayed on with the Red Arrows in subsequent campaigns all the way to the Philippines and in doing so actually formed the core of the unit leadership for the war,” said Camp. Nearly all the Clemson men who survived the Buna campaign were elevated from platoon to company commanders because of their actions there, and several continued to lead Red Arrow soldiers until the end of the war. The sheer amount of time the unit was in theater is staggering: over 13,000 hours of combat, or 654 days — more than any other U.S. Army division. A photo taken by Lt. William H. Thackston ’39 shows Imperial Japanese Army Gen. Tomoyuki Yamashita “The Tiger of Malaya” (center) posing with American soldiers at his surrender to U.S. forces (photo courtesy of the Thackston family). As it turned out, the Red Arrows were not only the first to fight, but also the last. William Thackston ’39, who had worked on Clemson’s Tiger newspaper, snapped a series of photos as Yamashita exited the passenger seat of an American truck and mingled briefly with the soldiers before being escorted away to interrogation and ultimately, execution. The 32nd Red Arrow Division marches in a 4th of July parade in Adelaide, South Australia, 1942. As the war wound down and the dust settled, the Red Arrows were unfortunately positioned to be some of the very last service members to return to America, but return they did, the final ones being rotated home in October of 1945. The survivors came home and scattered across South Carolina and the nation, settling into quiet lives and becoming what so many of “the greatest generation” became — heroes hiding in plain sight. Kenneth Scar is a public information director at Clemson.